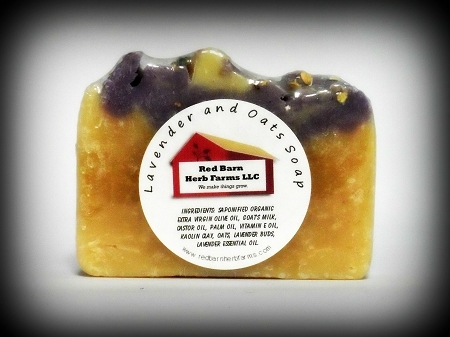 Soothing, extra-moisturizing soap with a calming lavender scent. Great for dry, irritated skin, children, or anyone needing to relax at bedtime! Contains: Saponified Organic Extra Virgin Olive, Palm Kernel and Castor Oils, Goat's Milk, Organic Raw Oats, Kaolin Clay, Organic Lavender Essential Oil, Organic Lavender Buds, GMO-free Vitamin E Oil.